The Studio is equipped with special equipment for digital shooting from above through a remotely controlled computer which, obviating the need for scaffolding or ladders, is used for capturing subjects high above the ground or where a very high view point is required (up to 8.5 m.). A solid steel Matthews stand, stabilized with tie-rods, features a motorized mobile head with the Hasselblad camera connected to the computer from which all its functions are controlled, including live view and focus. Two Manfrotto giant stands mount the powerful Bowens Gemini 1500 Pro flashes elevating them to more than 7 metres from the ground. 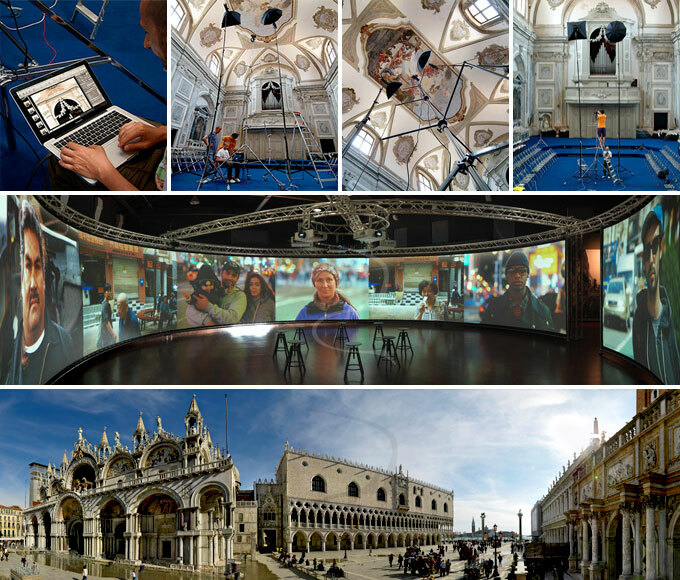 For ultra-wide angle and panoramic shots, the Studio is equipped with a Manfrotto panoramic head rotating on two axes. The images are then merged with specialised software for panoramic photos.